Nice read and insights, distinctive views. Delve deep into statistics in a non mathematical way throughout. Left me searching for a broad conclusions about the meaning and grand way to address networks in society. Yet this never really happened. 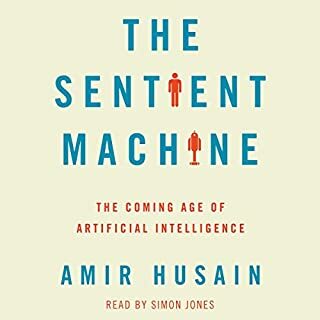 Interesting take on the security and societal of AI. Not the typical doom and gloom of AIs rise. Several interesting insights, but driven heavily by a Silicon Valley view of the world. This view will not please everyone. 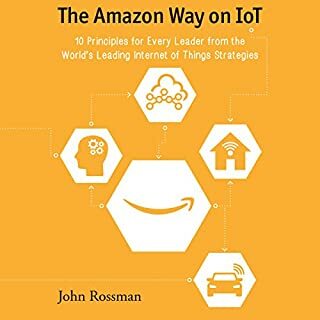 Good book, with many solid insights for those interested in becoming an expert in IOT (at a systems / solution level). 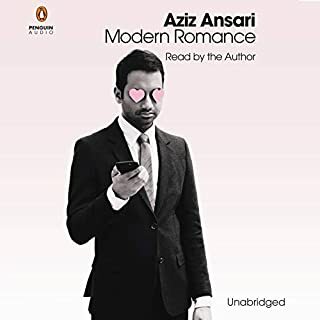 First book I have seen which criticize audio book listeners as lazy. It lacks any value and is not funny. 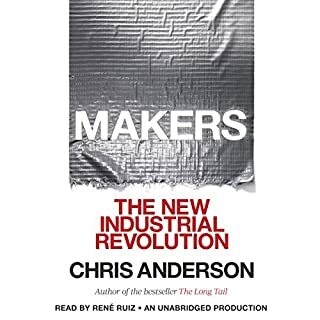 Chris Anderson takes you to the front lines of a new industrial revolution as today’s entrepreneurs, using open source design and 3-D printing, bring manufacturing to the desktop. In an age of custom-fabricated, do-it-yourself product design and creation, the collective potential of a million garage tinkerers and enthusiasts is about to be unleashed, driving a resurgence of American manufacturing. A generation of "Makers" using the Web’s innovation model will help drive the next big wave in the global economy, as the new technologies of digital design and rapid prototyping gives everyone the power to invent. A well written book on the niche subject of making stuff using digital and 3D printing technologies. 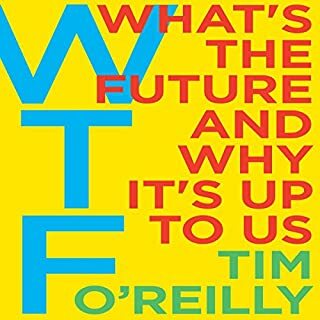 A likely read for hackers, people who like to tear things apart to find out how it works inside, people who want to make things with their computer, and aspirating product designers doing really cool stuff. Also, the author provides a good view into the manufacturing ways of the future (and its not just in China). 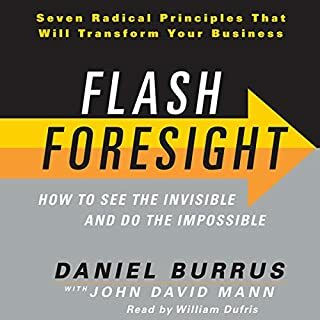 What made the experience of listening to Flash Foresight the most enjoyable? This book is a surprisingly good read. It lays out a solid methodology for identifying new business opportunities, which others have missed. It is simple and straight forward, but profound in its approach and clarity. 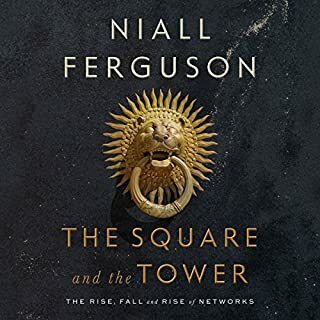 While the author suffers from being somewhat of a "hype machine" in his other writings and website, this does not detract from the core of this book. Is it a timeless classic? No. The examples used in the book will become dated quickly over the next few years. However, it is definitely worth a read for anyone seeking to find new and innovative opportunities. I would have expected this book to become popular with the start up gurus of Silicon Valley, but it appears to have found very limited traction there. 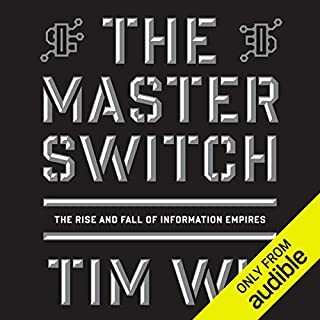 A good listen, but unfortunately this book does not deliver a compelling overarching theory of technology development for the future. This is primarily due to Dr. Wu's limited analysis of global economic trends beyond the shores of America. The USA represents about 25% of the global GDP at present. However, the book fails to robustly analyze and account for the impact of the 'rest of the world' (i.e. the remaining 75% of global GDP) in his prescription for the future. This is a significant weakness in his analysis. Each of them is one in a million. They number 6,000 on a planet of six billion. They run our governments, our largest corporations, the powerhouses of international finance, the media, world religions, and, from the shadows, the world's most dangerous criminal and terrorist organizations. 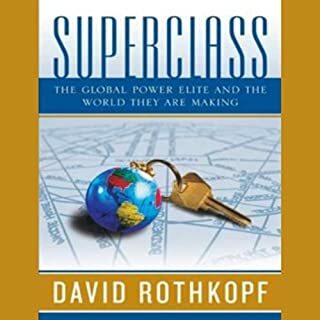 They are the global superclass, and they are shaping the history of our time. 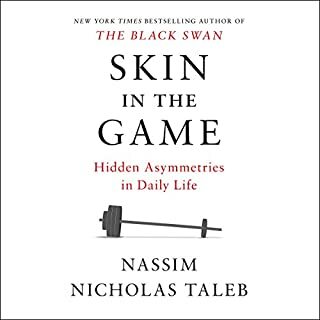 The core message and rare nuggets of compelling data of this book are lost by the author's need to justify his own social standing and habit of descending into the 'weeds' on semi-relevant tangents. If the length of the book were shortened by half, it could be a more interesting read.